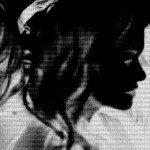 Genre/Influences: Dark-cinematographic, dark-ethereal & ambient. Background/Info: Ionophore is a project set up by Jan Hendrich (Qepe), Ryan Honaker (Gift Anon) and Leila Abdul-Rauf. Leila Abdul-Rauf has already been involved in multiple projects and probably is the most familiar name from the trio. Last year she released a solo-album at Malignant Antibody (cf. “Insomnia”). Ionophore previously self-released the album “Through Light Fractures” on cassette format and now has joined the big Malignant family. Content: “Sinter Polls” is a surprising and somewhat challenging work for its sound and influences. It definitely sounds ambient and cinematographic-like and always carried by dark sonic atmospheres, but the most exciting element is the rather ethereal format of the work. Leila’s vocals reveal a kind of shimmering ethereal timbre of voice emerging from imaginary crypts and secret corridors. Her voice literally hangs over the songs like a mysterious spirit haunting lost castles in the Highlands. The compositions are carried by a kind of lazy cadence, which makes it all more accessible although very particular. Another noticeable point consists of the arrangements. There’s a twist between electronic arrangements sometimes leading into a real, but delicious capharnaüm and at the other side more delicate and neo-classic inspired arrangements. The production is really intriguing and a fascinating experience with a visual strength. The tracks have been meticulously created and reaching multiple climaxes. There’s a real kind of passion coming through, which you especially will notice in some details like little electronic bleeps and little effects, which are mainly noticeable when using headphones. 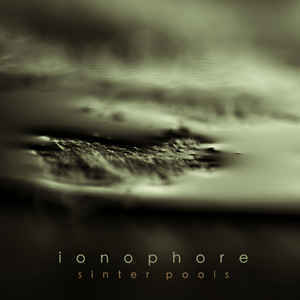 + + + : Ionophore reveals a new kind of ambient-cinematographic and ethereal work. This album is a creative source of modern and innovative music based upon a real harmony between the different influences. The album also reveals an impressive sonic canvas. – – – : I can imagine some ambient ‘purists’ will not be pleased by this mishmash of influences so this is first of all a work for open-minded music lovers. Conclusion: Ionophore is a great surprise revealing a visionary collective that has created something ‘new’ from familiar music genres. Best songs: “12 Minutes”, “Unchecked”, “Post”, “Checked”. 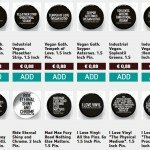 Plenty of industrial music pins available, get yours now!